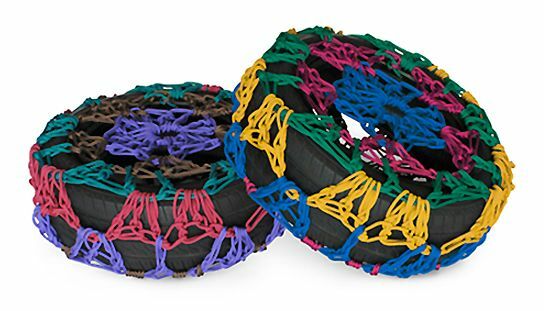 Old car tires miraculouslyReincarnated in colorful puffs and chairs of tires that can be used both indoors and outdoors. 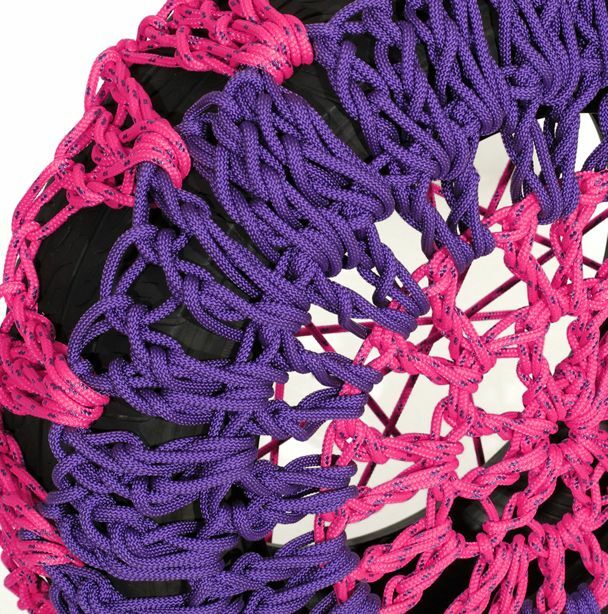 Australian designer Cindy-Lee Davies, using traditional methods of weaving macrame, "dresses" worn tires in bright cases of nylon ropes. 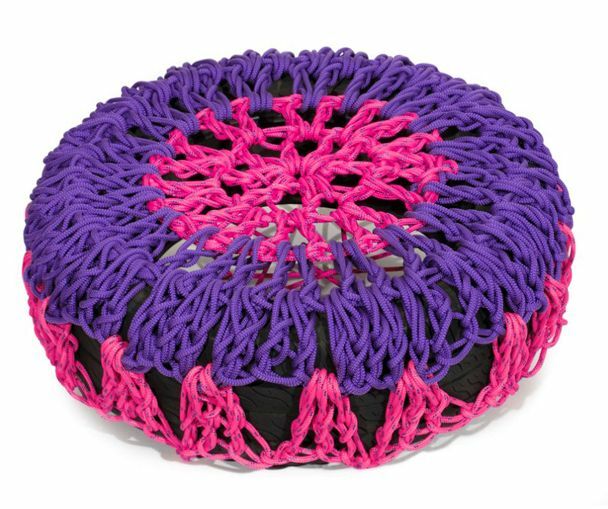 In addition to the aesthetic component, the rope weaving makes it possible to sit comfortably and rest on such an original seat. Cases are cleaned thoroughly, they are durable and reliable,resistant to ultraviolet radiation, so they will last long even in conditions of intensive outdoor use - in the yard, in the garden, on the terrace. 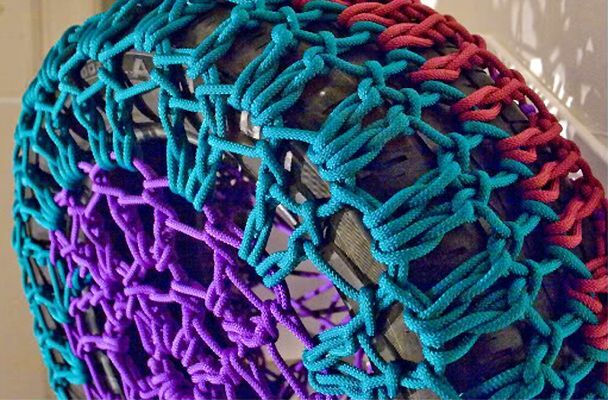 So if you have old tires, do not rush to throw them away. 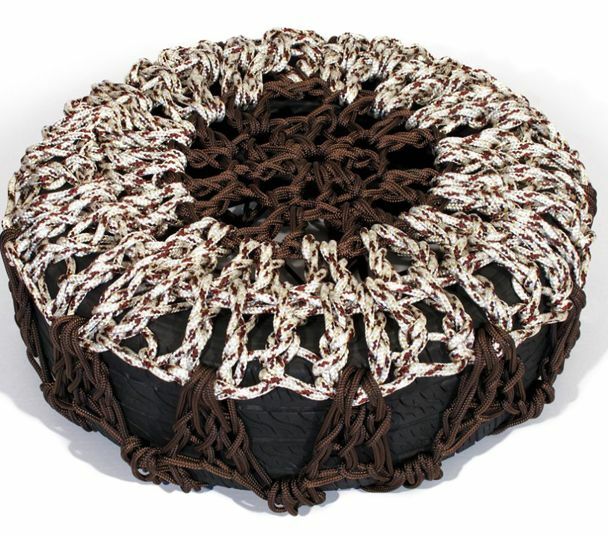 Try to make your own hands pouffes and chairs from the tires, bind for them such here are covers. There are no knitting schemes for the designer to the general public, because this collection of puffs is sold. But the master craftsmen, I think, will not be difficult to come up with and implement their own weaving with their fingers or even a big hook. It would be the desire and old tires!